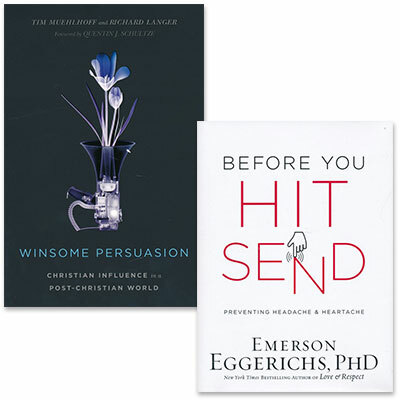 Purchase Before You Hit Send and Winsome Persuasion together at a special savings. We blush at the possibilities. Brainwashed fanatics? Out-of-touch dogmatists? Buffoons? The task of bearing faithful witness to Jesus is complicated by persistent—and not altogether baseless—cultural stereotypes. In our post-Christian society, thoughtful Christians are considering again how to engage the dominant culture as a minority, a counterpublic, amid varying perceptions and misperceptions.